Autumn is a magical season in Alaska – you can expect pretty much every signature scenery, yet the crowds are retreating. Here are the top 5 best Alaska photography locations from our visit in 2017. It is by no means a complete list. Alaska is so huge and diverse that no one could exhaust its wonderful landscapes, even for only one season. We just hope to inspire you to go out there, enjoy nature, and take your own beautiful shots! One of the biggest advantages of visiting Alaska in Autumn is Aurora viewing. During the summer, days are too long for the sky to turn completely dark while in winter and spring, the weather is too cold for most tourists. Fairbanks is often referred to as the Capital of Aurora, as it sits right in the middle of the Aurora active zone (Northern hemisphere). Chena Lake has very little amount of light pollution at night and is just about 20min drive from Fairbanks. Moreover, the sceneries are superb – conifer forest and serene lakes are excellent compositional enhancements to your Aurora photos. Hatcher Pass is a recreation area easily accessible from Palmer or Wasilla and is about 60 miles north of Anchorage. It features incredible mountain and valley views, especially when the sun rays come through the clouds. This is photographer’s paradise. There are so many photo opportunities, that I feel guilty to put it as one of our Alaska photography locations. Actually, I have a separate post about our photography experience in the Denali National Park for your reference. There is a stunning view of the mountains if you are lucky enough to have a clear day. In autumn, the warm color of the field complements the cold, formidable mountains. This is the hub for several days’ exploration of the park’s wild nature. 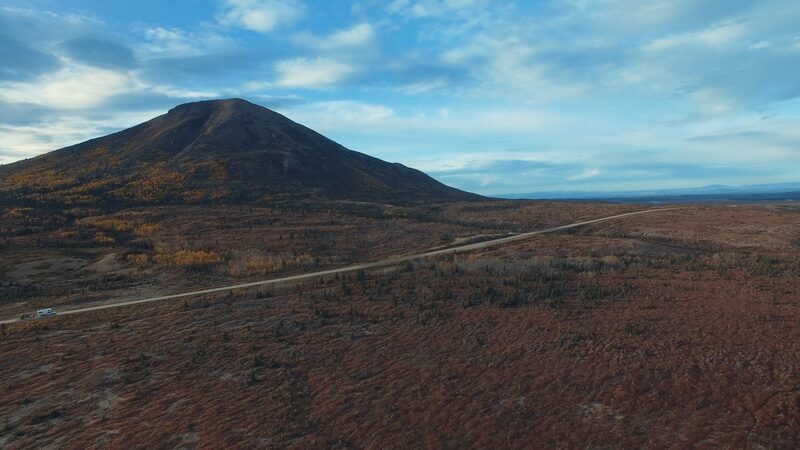 Simply follow the uphill road at the campground and within 5-minute of walking, you will reach the hilltop with an unobstructed view of the tundra and the mountain ranges. This little gem in the Denali National Park offers stunning views of the Denali Mountain and its reflection. It is also a perfect location for astrophotography – when you stand by the pond looking at Mount. Denali, you will be facing south watching the milky way rising. This is another group of Alaska photography locations. The beauty of Alaska road trip is the freedom to go anywhere and still find amazing views. Never rush your itinerary by driving to your next location at night so you miss the unique landscapes along the road. There are plenty of turnouts along the highways which are excellent opportunities for you to stretch your legs and take postcard photos. Enjoy the seascape, mountain, clouds, and gusts of wind. The weather is as unpredictable as in the mountains, so when a stormy day suddenly turns sunny, you know your best photography chance has come. It is impossible to avoid this scenic section of Alaska Highway if you want the full Alaska experience. The extended stretch of glaciers was a feast for our eyes when we drove back to Anchorage. This is the section I regret not putting enough time exploring. And of course, I will be back. The Richardson Highway leads to Valdez from the Delta Junction. There are viewpoints along the road where you can have a panoramic view of the Mount Drum, Sanford, Wrangell, and Blackburn of the WRANGELL-SAINT ELIAS NATIONAL PARK. Everything starts to become more interesting when you view it from the sky for the first time. Take a drone to Alaska is my number 1 recommendation – there are much fewer restricted areas than the lower 48, and the views are just gorgeous. Also, take a look at this short footage to learn more about Alaska photography from the sky. I hope you enjoyed our 5 Best Autumn Alaska Photography Locations list. If you have any questions, feel free to leave your comments below or use the contact page to send us a message. Good luck traveling in Alaska!